Yes, as long as you had permission to use the vehicle, you can still bring a claim against the other motorist if he or she was uninsured. Yes, in most instances you can still bring an uninsured or underinsured motorist claim even if you were driving someone else's vehicle. As long as you had proper permission to operate the car you can still pursue a claim against your carrier if it has more coverage than the policy governing the car itself. The issue is which has more. Who Can I Bring A Claim Against After An Accident With An Uninsured Motorist? To understand who is liable for your damages, contact our offices. We can help you target the best sources of recovery after an accident with an uninsured driver. Worried That You Might Not Be Able To Recover After An Automobile Accident? The Rosenfeld Injury Lawyers LLC can make sure that you recover under the law even if you were driving someone else's vehicle. Illinois does not preclude you from doing that assuming that your case fits a few parameters. 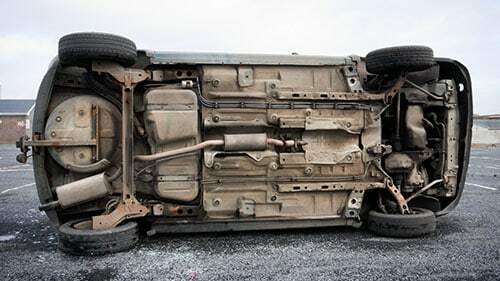 To learn about what you need to do in order to get relief after an accident with an uninsured motorist, call Rosenfeld Injury Lawyers LLC today.